Ajax have become the first Champions League team to come through three qualifying rounds and reach the semi-finals after dumping Cristiano Ronaldo's Juventus out. The Dutch giants have lit up Europe's elite club competition this season in a sensational run, eliminating defending champions Real Madrid and now the Bianconeri with two stunning second-leg wins away from home. Yet Ajax's campaign began back in late July, after they finished second in the Eredivisie last term, and no equivalent side in Champions League history can match their progression to this stage. Ajax have played Sturm Graz, Standard Liege, Dynamo Kiev, AEK Athens, Bayern Munich, Benfica, Madrid and now Juve en route to a last-four meeting with either Manchester City or Tottenham. A towering header from captain Matthijs de Ligt sealed a 2-1 win in Turin for the four-time European champions and a 3-2 aggregate success. 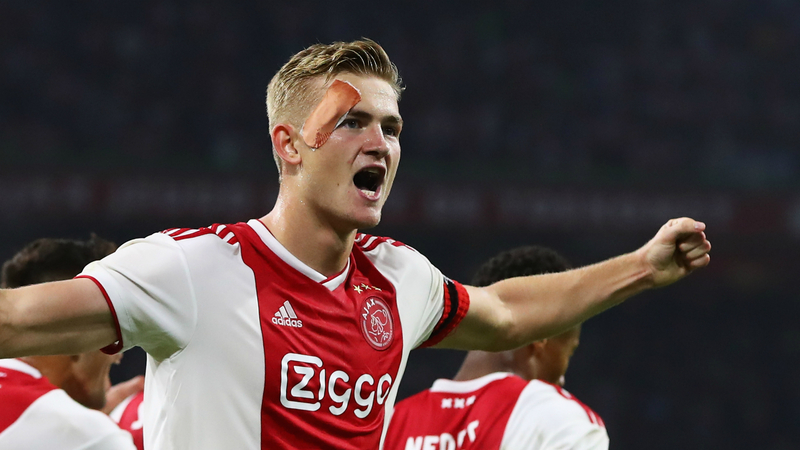 The Netherlands centre-back is just 19 years and 246 days old and became the youngest player to score in the knockout stages of the Champions League since 1996. The player on that occasion was also an Ajax youngster, with Nordin Wooter - aged 19 years and 237 days - netting against Panathinaikos.